THIS photo below is the most 'liked' Instagram photo of all. 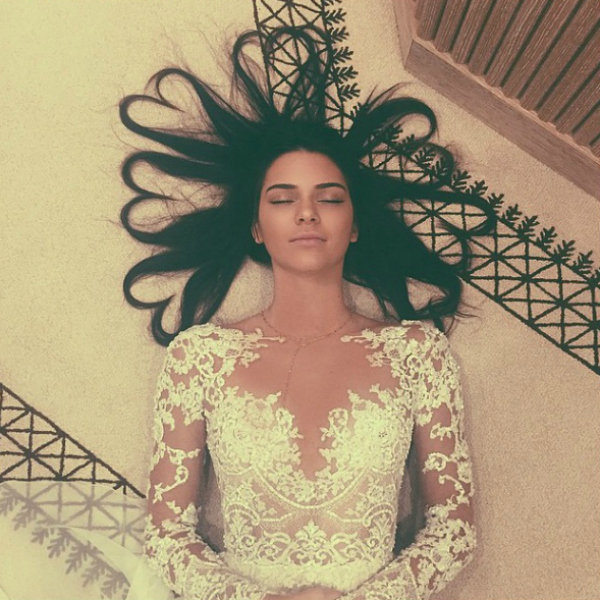 It's Kendall Jenner's pic, posted a few days ago on her Instagram account. Currently at 2.6 million likes. YES. Posted soonafter the historic marriage equality decision in the US, she has her hair as hearts. It's kinda cute, and obv symbolic. "Yo, Taylor, I'm really happy for you and I'mma let you finish, but Beyonce had one of the best videos of all time. One of the best videos of all time!" And now the second most liked shot all time: at 2.4 million likes. 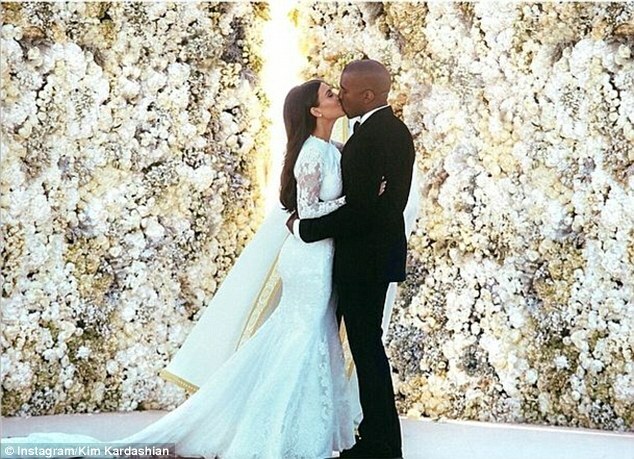 Kim and Kanye on their wedding day. 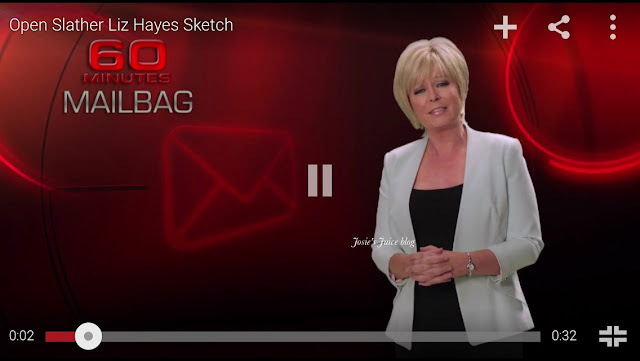 The new 'Open Slather' (the comedy sketch show on Foxtel's The Comedy Channel) Liz Hayes sketch is… well, I will let you have a watch. And BTW: Gina Riley (Kim from 'Kath & Kim') as Liz Hayes really, truly IS… everything. There’s something about the world of celebrity that most of us find fascinating. Perhaps it’s the mysterious smiles we see on the red carpet or how we imagine them sipping champagne out of solid-gold flutes in between takes for the next blockbuster film. 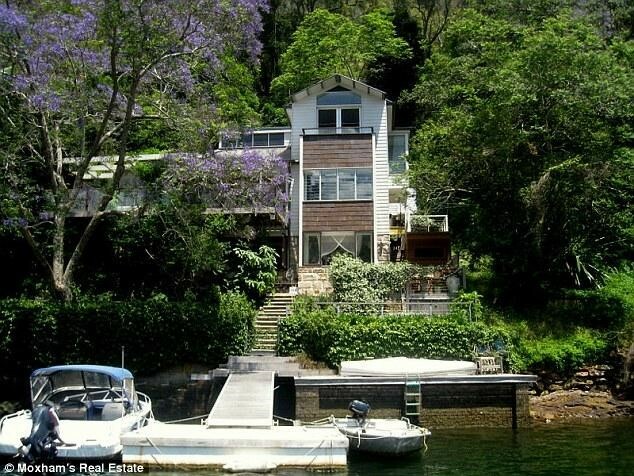 Of course, it doesn’t hurt that most celebrities live in mansions that make our humble abodes look like shacks. 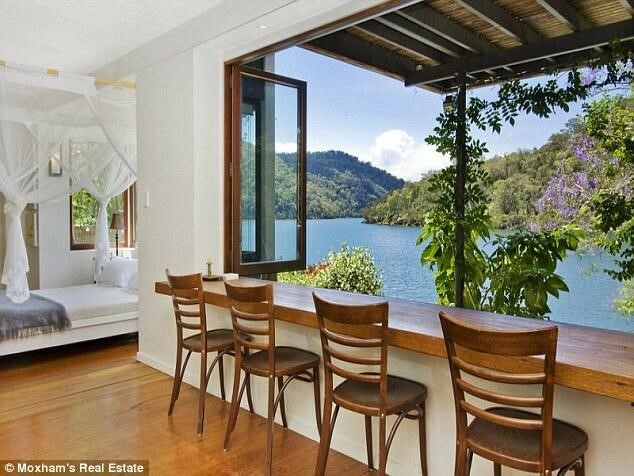 Here are some of the most impressive celebrity homes down under and how you can get a similar look in your own home. Hollywood A-lister Cate Blanchett and her husband Andrew Upton have added Sydney to the growing list of international cities that the couple calls home. 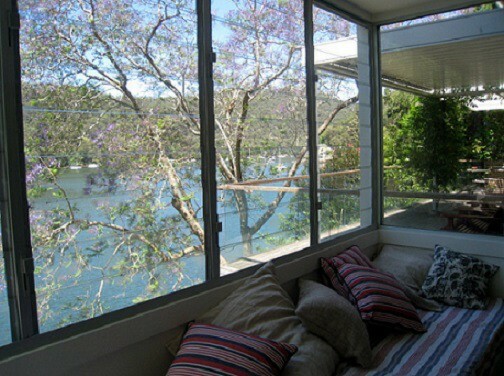 Located in the picturesque Berowra Waters neighborhood of northern Sydney and situated along the Hawkesbury River, the three-story riverfront estate set the couple back about $1.5 million and is accessible only by boat. Although the property is described as lacking “bling” and an escape from glamour, it’s a wooden beauty that affords the couple talking trails through the surrounding bushland, a sauna and spa, plenty of room for entertaining, stunning views of the river, and of course plenty of protection from the prying eyes of paparazzi. 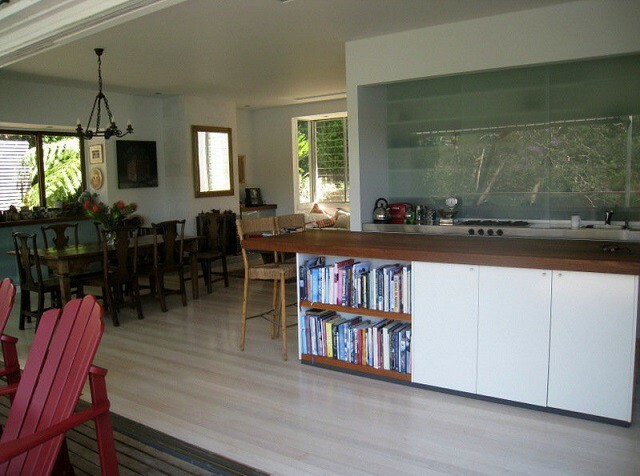 If you want to incorporate the minimalist, nature-inspired look of the Blanchett residence, it’s definitely not hard to do. First thing’s first, you’ll need to adopt an airy color palette consisting of whites, off-whites, creams, and maybe something like a sandy khaki. For contrast, use lots of contemporary or transitional wood furniture, preferably darker woods such as walnut, oak, or even cherry. We love the cozy reading nook she created that brings the outdoors in with views of the water and an assortment of mismatched pillows. The ideal flooring would be, of course, hardwoods throughout, but you might also use tile or high-quality laminates; while carpets should be avoided for the Blanchett look, choose darker and more natural colored berbers such as an olive green and shades of brown if you’re a carpet enthusiast. In terms of upholstery, you’ll want to stay within the same bright, airy family as the wall colors. If you would prefer to add a little more visual interest, play with pops of color such as a red throw pillow or a fun, colorful area rug. Pin stripes would be a great, subtle pattern for upholstered furniture used to recreate the Blanchett look. It’s clear that Cate gets a lot of use out of that reading nook as she has chosen to display her books on a built in shelf on her kitchen island. Making use of your kitchen island as a book shelf is such a lovely touch and can come in really handy when you want to keep your cookbooks nearby as well. 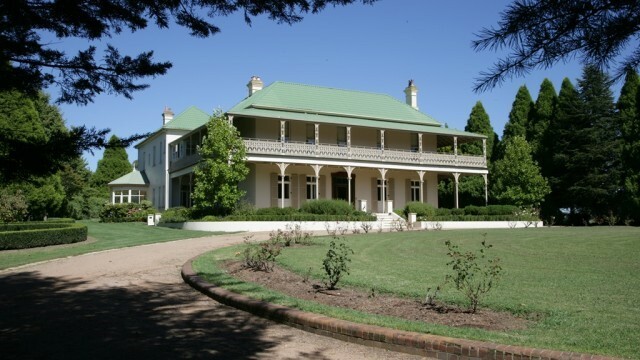 Another famous celebrity couple call the exclusive Southern Highlands in New South Wales their home. Nicole Kidman and Keith Urban’s classic French country manor was completely and totally restored to its current glory. It features wraparound verandas, a stunning entryway and staircase, a wine cellar and tasting rooms, a billiards room, a conservatory, and a separate guest cottage. Each of the five bedrooms also have a private bath and a dressing room. The sprawling grounds feature plenty of old trees and pristine lawns as well as a detached four-car garage. Inside and out, this huge home has a refined character that commands authority and respect, but also evokes comfort and homeyness. Are you infatuated with French country decor? You’re definitely not alone. There’s something both elegant and sophisticated yet charming and homey about French country decor, and many people simply cannot get enough of it. If you want to go French country similar to the Kidman-Urban compound, here’s what you need to do: First, you’ll want to use lots and lots of toile, which is the traditional patterned linen that screams 18th-century Versailles and can be used for sheets, curtains, and just about everything in between. 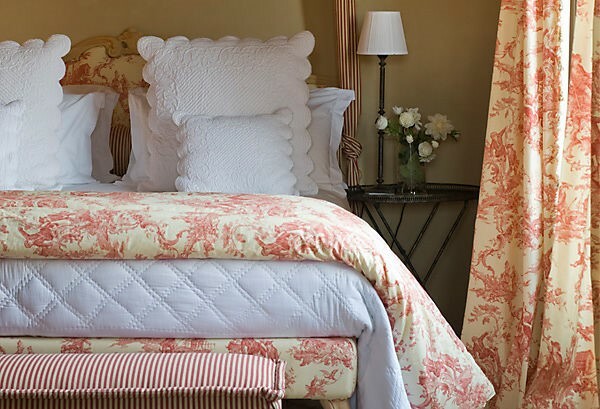 Toile goes beautifully with stripes, but you can also use solids and plaids as well. There are many other hallmarks of the French country look, one of which is using lots of white-washed wood furniture. In terms of color, stay on the warmer side of the color wheel, focusing on colors like goldenrod and dusty coral; however, you’re more than welcome to throw in a faded cerulean here and there to go with the blue-and-white china you’ll want to display. Incorporate some wrought iron furniture, perhaps some chairs or a table that can either be left raw and dark or painted white. Don’t forget to put down some lace doilies as well. Kidman and Urban also own and combined several top-level penthouse units of the Latitude, a residential skyscraper that affords residents with breathtaking views of Lavender Bay in Sydney. The first unit — a two-story penthouse suite that consisted of essentially half on the 21st floor — was purchased by Kidman in 2009 for $6 million. In 2011, Kidman purchased a 19th-floor unit for $2.68 million to be used primarily as a home office. 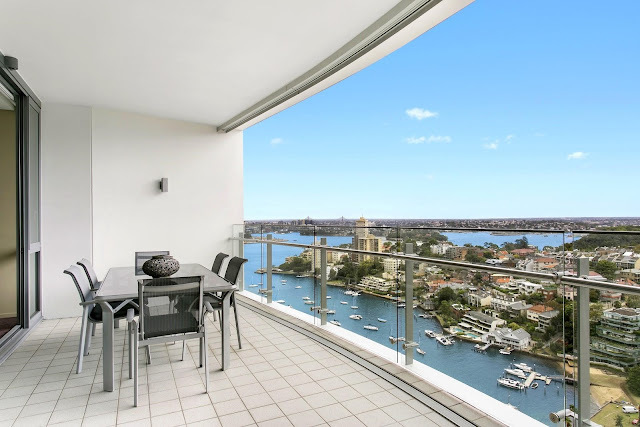 A year later, Kidman purchased the other 21st-first floor two-story unit for $7 million and turned the two separate penthouse suits into a single unit, which also broadened her view to include the southern end of Lavender Bay. Altogether, the actress has spent almost $15.7 million in buying some of the Latitude’s highest floors and sweeping panoramic views to enjoy with husband Keith and their children. Maybe you’re not into the shabby-chic look. 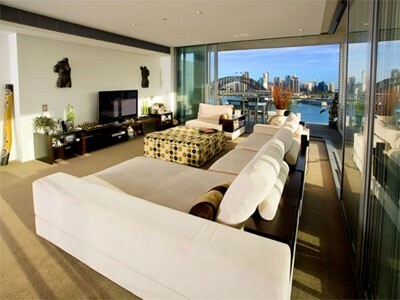 In that case, you might prefer decor that’s more stylish and modern like that of the Kidman-Urban penthouse. To achieve this look, you’ll first want to adopt a Blanchett-esque color palette for the walls, focusing on light colors that keep the space night and bright. Although the penthouse is definitely modern, it’s still very comfortable with an exaggerated sectional sofa, dark tan carpets with furnishings that tend to be very short and remain close to the floor. For the furnishings, dark wood is used in a very contemporary, geometric style. There are also some fun, playfully patterns used such as the polka dots on the ottoman that provide an opportunity for pops of color and to create more visual interest. The kitchen area could also continue these colors and textures, or provide a bit of contrast like the penthouse balcony pictured above with gray tile, metal furnishings, and dark gray upholstery. Tonight is the Grill'd launch in Sydney, and if you are a Grill'd fan you will be thrilled to know there is an all new range to add to the existing menu you know and love. UPDATE: we tried the new burgers (and the chips: sweet potato, zucchini, and potato) and they are everything. Check out my Instagram @josiegags for pics! 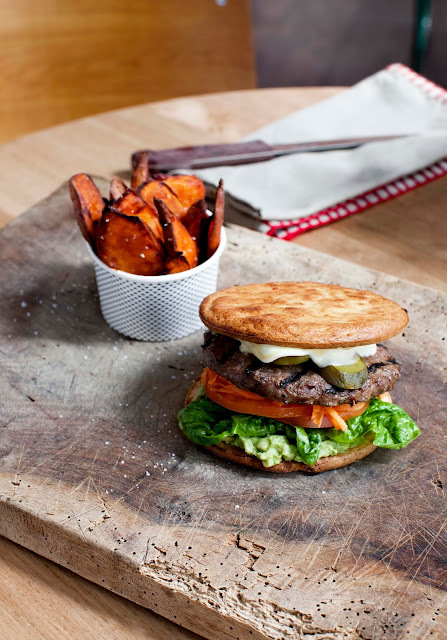 Thanks to the Grill’d real food philosophy, burgers are no longer seen as a once-in-a-while treat. As consumers become increasingly savvy about what they eat, and more and more food trends emerge, the ‘Nourish & Flourish’ is a dream addition to the menu. Served up on a Low Carb SuperBun – the bun that excited people on low carb and no sugar diets after it launched late last year – the ‘Nourish & Flourish’ boasts ingredients that do your body good. Made with a grilled 100% grass-fed lean beef pattie, avocado, Dijon mustard, dill pickle, shredded carrot, cos lettuce, tomato, and egg mayo, the ‘Nourish & Flourish’ has been created by Lola Berry, nutritionist and author of 'The Happy Cookbook', who has teamed up with Grill’d as a move to cater to those who want to give themselves permission to eat a burger. There is an excellent interview, seen for the first time on Josie's Juice below with Lola Berry. Scroll down for more. Founder Simon Crowe is excited that his passion for ‘burgers done good’ drives Grill’d to continually cater to Australians with different diets, tastes and lifestyles. “The Grill’d food philosophy is all about eating real food, selecting our ingredients from the paddock and presenting it on the plate. We wanted to create a unique burger that not only satisfied the emerging low carb, low sugar and paleo movements, but one that anybody can enjoy, guilt-free”, said Simon. Grill’d will also introduce Lola’s SuperPower Salad to the menu – a meal option that is light and bursting with antioxidants and plant nutrients. It contains grilled chicken breast, avocado, cos lettuce, carrot, Spanish onion, beetroot, cherry tomatoes, almonds, mint and is dressed in extra virgin olive oil. The Nourish & Flourish Burger and SuperPower salad roll-out in Grill’d stores nationally from Tuesday, June 30. Log onto www.grilld.com.au for a full list of stores. Grill’d was established by founder Simon Crowe in Hawthorn, Melbourne in 2004, to challenge the notion that burgers are low in nutritional value. 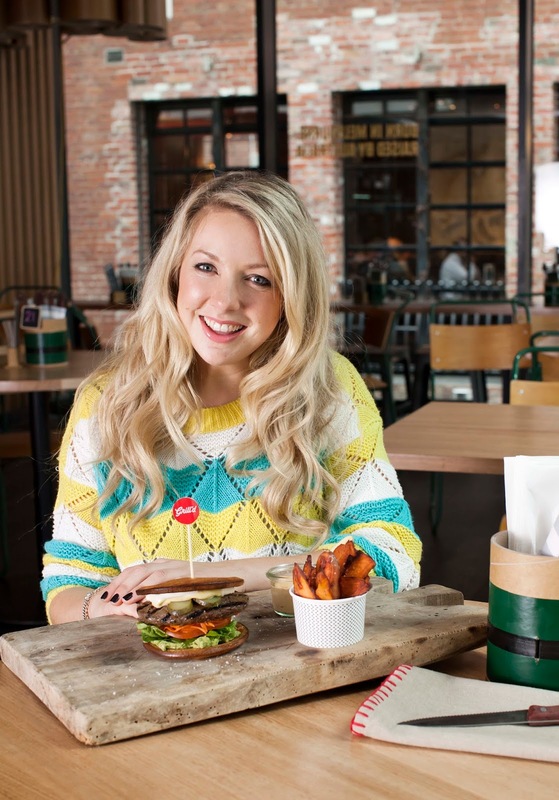 10 years on, Grill’d is still making burgers the old-fashioned way with a zealous focus on nutrition and health. Grill’d is 100 per cent Australian owned, born and bred with all restaurants committed to using only the finest, freshest, locally sourced ingredients, employing the friendliest staff and offering the most delicious, healthy burgers. Grill’d prides itself on giving back and working with each and every local community it calls home through its Local Matters program. You are well-known for your wonderful, inspiring cookbooks The 20/20 Diet and the recently released, The Happy Cookbook. What is your food philosophy? For me, food is here for two reasons: 1) To nourish and 2) To share with those you love. Our bodies absolutely thrive off nutrient dense real food such as farm-grown fruit, veggies, and responsibly grown cuts of meat. Simplifying the food you eat, know where it comes from, and source it locally. Then, you’re doing good for your body. 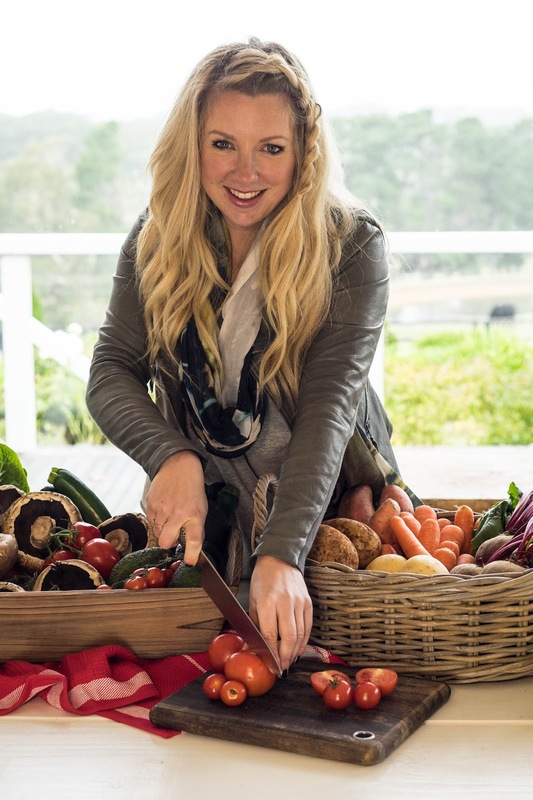 What do you feel illustrates the best in Australian food? Hands down, it’s real food in its pre-natural state that we are blessed to have an abundance of in Australia. In other words, food that’s straight from the paddock to plate. Also, food with as little human interaction as possible as far as mucking around with it. As a nation, we have access to that. Many Australians are ‘time poor’. What are your top tips for people in this situation? If you’re time poor, as many of us are, you need to make smart choices whether you eat in or eat out. Making a choice where the food you eat is clean, real and honest. That means things such as trusting the company you buy your food from, making sure it’s locally sourced, and making sure the ingredients are ethical. If you’re into fitness, eating food when you’re not sure of its source could be as simple as undoing all the good work you’ve been doing to stay fit. A little bit of effort and research goes a long way. You have recently created two meals for burger restaurant, Grill’d. Tell me about the Nourish & Flourish Burger and your Super Power Salad. They sound amazing! What was your inspiration behind both creations, and what will make people want to run out and give them a go? The Nourish & Flourish Burger is a very clean and nourishing meal. All the ingredients have been sourced from local farms. The ingredients are clean and simple, but together they taste amazing. It contains avocado, awesome 100% grass-fed beef, tomato, cos lettuce, herb mayonnaise, and a bit of mustard to give it a kick. The Nourish & Flourish Burger is served on the Grill’d Low Carb Super Bun. The Low Carb Super Bun is gluten free, dairy-free, and grain-free and contains less than 9 grams of carbohydrates – less than a sushi roll! I love it because it caters to all sorts of food tribes - gluten free, paleo, diary-free and sugar-free. And, it tastes amazing. And, the Super Power Salad? The Super Power Salad is a super clean salad full of lots of different colours, meaning that that you’re getting a broad spectrum of antioxidants and plant nutrients. Antioxidants are important to everyone’s daily diet as they prevent free radical damage in the body. The salad is light but will keep you going with protein from the chicken and the almonds, and the avocado and Extra virgin Olive oil provide good fats so you can have glowing skin and good hair health. And what about the recent, growing trend that sugar is a no-no? How do you feel about sugar? It’s just about eating real food, and refined white sugar doesn’t fall under that category. It causes loads of inflammation in the body. It’s pretty addictive stuff, so if you have a sweet tooth like me, then try going back to basics and eating natural sources of sugar like honey, maple syrup, coconut sugar, rice malt syrup, and fruit… but I think anything sweet is best consumed in moderation. At the moment, I’m loving monk fruit (also called Luo Han Guo) as well as Stevia as neither has an impact on blood sugar levels and still satisfy a sweet tooth. The Grill’d Nourish & Flourish burger contains zero refined sugar; a total win for those who love their burgers but are cutting down on sugar, and carbs for that matter. So, the paleo and gluten-free philosophy aren’t just trends or fads? I think it’s becoming a way of life for people as a lot of people react to gluten with either gluten sensitivities or full-blown allergies to it. The paleo diet is really all about going back to caveman days and really getting back to basics, so eliminating grains, dairy and refined sugars which simply didn’t exist back then. I love to embrace a paleolithic-inspired lifestyle, as I feel it works for me and is a healthy way to live. I also value the principles based on eating mindfully by enjoying the whole process of making and enjoying food and taking a moment to sit and be present whilst we eat. At the end of the day, there are so many ‘diets’ that it’s about finding the right fit for you. So, is it good news for Australians then? Are people waking up to the fact that it’s crucial to examine what we put in our bodies? Absolutely. I think that we are getting more and more empowered to make the right health choices so we don’t feel so lost. It’s about finding the healthiest version for yourself. I think that Grill’d is empowering and inspiring Australians to make healthy choices and also giving the consumer voting power to support the local economy, lower growers and local producers. What are your top tips to readers for accessing real food on a day-to-day basis? You can purchase the best produce from farmer markets, some health food stores and even in super markets. My biggest tip would be to make sure that you buy food that is as close to its natural state as possible. And, if you're really keen, why not try growing your own? If you don't have space try growing herbs in a window-box. It's about being re-empowered to enjoy real food that nourishes our body, mind and souls. And here is what you need to do to win one of four doubles of $15 each (so $30 Grill'd meal vouchers) to eat at any of the Grill'd restaurants (total prize value: $120).